Gloucester House is a 250 year old beautiful Grade 2* listed building based in the heart of Stockton-on-Tees, recently refurbished and transformed into serviced offices. Gloucester House offers 42 office suites ranging from single desk provisions to large-scale open plan offices, across 3 floors, which support our tenants as they grow. Located on Church Road, Stockton-on-Tees, Gloucester House is within easy walking distance from the rejuvenated High Street. With fantastic links to local transport and easy access to the A66 and A19, staff and visitors will have no problems getting to you. 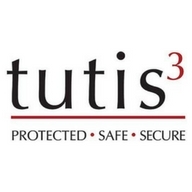 "We were looking to grow our business and needed a space to meet our needs. Gloucester House fit the bill perfectly; we are now part of a business hub here surrounded by like-minded businesses." 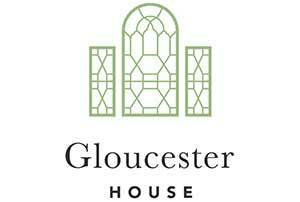 "Gloucester House has met our expectations and more! The support from the team here from reception to technical support ensures our office is a great functional space." "We take pride in bringing customers into our office for meetings and the free onsite parking facility makes it a simple and stress-free process." All office packages are inclusive of business rates, utilities and high speed internet, with easy in/out terms to suit your business. The building has a range of office suites from 114 sq ft to 550 sq ft across 3 floors. Whether you are looking for a space to hold a board meeting, training, presentations or interviews, we can cater to your needs with customisable space, internet access and free car parking for attendees. We offer additional benefits to all our tenants as part of our office packages; this includes use of our corporate golf membership and a monthly tenant networking event, spotliGHt.